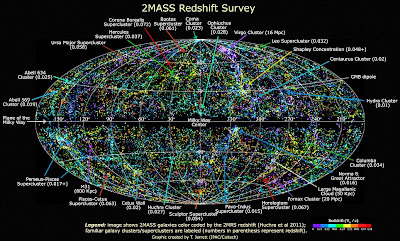 Maximizing Progress: 2MASS ~ 3D Map of 50K Galaxies in Local Uni! DailyMail delivers again, spotting 2MASS, the Two Micron All Sky Survey and resulting 3D map of 50,000 galaxies in the "local universe" -- i.e. looking at our near neighborhood, just 380 million light-years out!